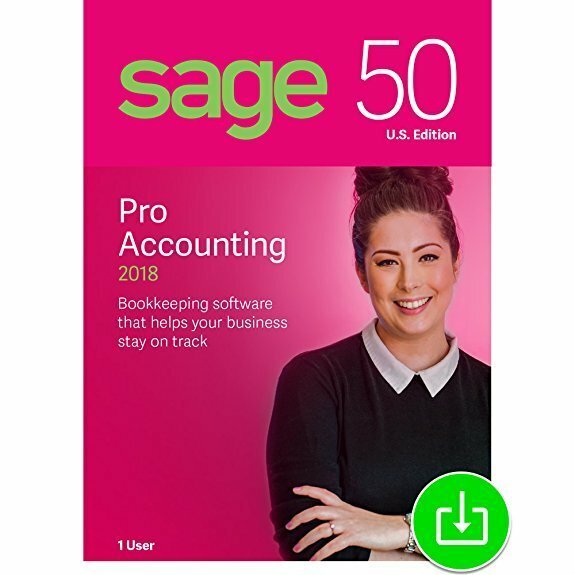 Sage 50 Pro Accounting 2018 has just what you need for your growing business. With easy-to-use accounting features, you can pay bills and get paid, plus you get tools to help you control cash flow and manage employees. Create invoices and checks, record customer payments, track sales and inventory, and more. Plus, Sage 50 comes fully supported and includes automatically delivered updates; access to help and advice by phone, chat, email, and online; and customized reporting, all part of an auto-renewing Sage Business Care1 plan. Save time and money and accomplish more every day with Sage 50 Pro Accounting.